Domestic violence is an insidious method of control that is designed to reach into all aspects of a victim’s life. Abusers will often do what is necessary to keep the victim subject to their manipulation, including cutting them off from friends and family, restricting access to money, and dictating when and how the abused can work. These efforts at control present a lot of obstacles when the victim decides to seek divorce to escape the violence. The ends an abuser will employ to keep control over his/her spouse were recently highlighted on the national stage when a San Bernardino man killed his wife and shot two innocent children, one of whom later died, to stop her plans to divorce him. Victims of domestic violence that are searching for ways to escape the abuse should have plans in place in to protect both their physical safety and financial stability before taking steps to leave. Addressing both of these issues is essential to rebuilding a life away from the abuser. Protecting one’s self usually requires obtaining a restraining order, known as an injunction for protection, to keep the abuser physically away. In addition, victims need a financial strategy to make leaving much more feasible and less scary. A discussion of how to get an injunction, and some actions victims of domestic violence can take in the weeks leading up to their departure to secure their finances, will follow below. Generally speaking, injunctions are court orders that tell someone they are not allowed to do certain things. In the context of domestic violence, injunctions order an abuser to cease any and all physical contact and communication with the victim. Violations of these injunctions typically lead to the arrest of the abuser. Anyone who is a past victim of domestic violence or believes they are in imminent danger of such violence can ask a court to issue an injunction. It is not necessary that the victim be currently living with the abuser, and in fact, the injunction can order the abusive spouse out of the family home so the victim can reoccupy it. To convince the court real danger exists, the petitioner should list all physical acts and threats of violence from the abuser in the petition for an injunction. Assuming the court is convinced, the judge will issue a temporary injunction prohibiting all contact from the abuser. A full hearing to decide if the injunction will become final is held within the next 15 days, and the person accused will have an opportunity to appear and defend him/herself. While victims of domestic violence can file these petitions on their own, getting help from an attorney is the better route, as it will increase the chances of a court issuing an injunction, as well as the inclusion of terms needed for a victim to feel safe. During the time leading up to the day a person decides to physically remove him/herself from a violent relationship, financial planning is needed to guard against the temptation to return because of money issues. The first step in this process involves gathering and copying important financial records, such as credit card statements, birth certificates, insurance policies and proof of income, to the fullest extent possible. In addition, log-in information for accounts should be verified and noted for monitoring up until the person leaves. Passwords should not be changed until the victim is out of the house to prevent a violent reaction, but then changed as soon as the victim is in a safe place to prevent the abuser from emptying accounts or assuming the victim’s identity to damage his/her credit. Important documents, like passports, bank statements and home mortgages, should be secured in a safe deposit box or left with a trusted person for later retrieval. Implementing these steps to protect finances puts the victim on stronger ground to move forward without risking financial collapse. If you are in a violent relationship, talk to an attorney about how to protect yourself and your family from retaliation once you leave. The law has a several methods to keep the abuser away and conceal your whereabouts, if necessary. 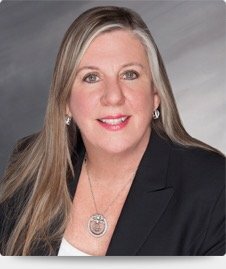 Fort Lauderdale attorney Joyce A. Julian, P.A. helps understands how traumatic these situations are, and will work to give the all the legal support and protection needed to ensure your safety. Contact the office today for a free consultation.